Part of my hair is now bright blue. This is not the non sequitur it seems to be. Because, y’know, the shift to a more sexualized Doctor couldn’t possibly have had anything to do with an overall relaxing of decency standards on British TV and a seismic shift in the culture since 1963. It’s all down to the actor’s age. 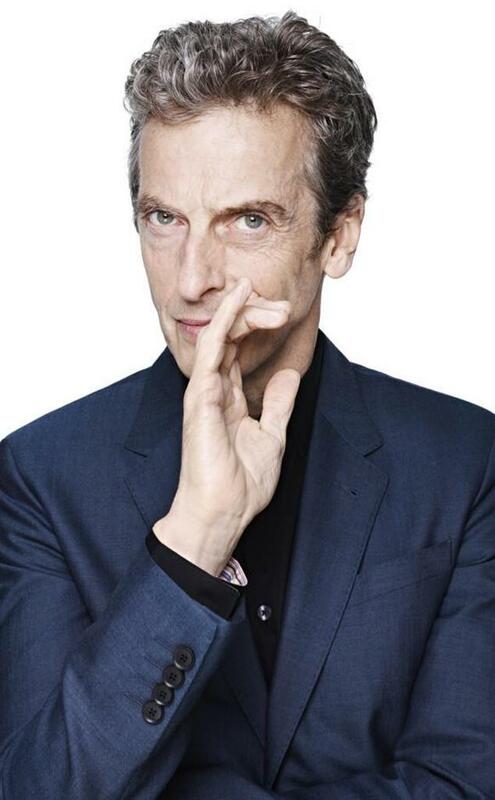 By the way, this is Peter Capaldi. I don’t object to dyed hair. I object to the notion that grey hair must be eradicated. There’s nothing wrong with choosing to color your grey hair, as long as it’s a choice. But as long as we live in a society that treats it as a requirement, it’s not a choice, and it won’t be a choice until enough people choose not to. I jumped on that train. Part of battling assumptions about grey hair is pushing back on the terror of aging and concomitant youth worship that characterize our culture. In fact, we go to such lengths to hide our age that the whole topic makes us intensely uncomfortable -- hence the fact that very, very few people ever even commented on my grey, despite the obviousness of the change. You have to ask yourself, what are the subconscious assumptions people make when they see grey? Could it be, for example, the absence of sexuality? (Hello, Den of Geek and large swaths of Who fandom.) A lack of vigor? The death of fun? So that’s what the blue hair is about. It's meant to signal that my sense of fun is not dead. My enjoyment of life is not over. Granted, it’s a pretty simplistic -- one might even say, juvenile -- response. As rebellions go, it's pretty weak. But it makes me happy, at least for now. It gives me a fairly obvious way to defy at least some of those offensive expectations. I don’t think I’ll keep it forever, though. It’ll probably be gone by the time Peter Capaldi hits my TV screen in Doctor Who. Or not. Time will tell. Love the hair and love this post. His predictable white maleness aside, I'm pretty excited about Capaldi and looking forward to what he'll bring to the role.